I’m a big fan or Thermoworks. Years ago (maybe 7 now? ), I received the Classic Super-Fast Thermapen as a Christmas present. 2-3 second readings, accurate to 0.7F, water resistant. What’s not to like? In all that time, I think I’ve only changed the battery on it once. About a year ago, I purchased the Chef Alarm. 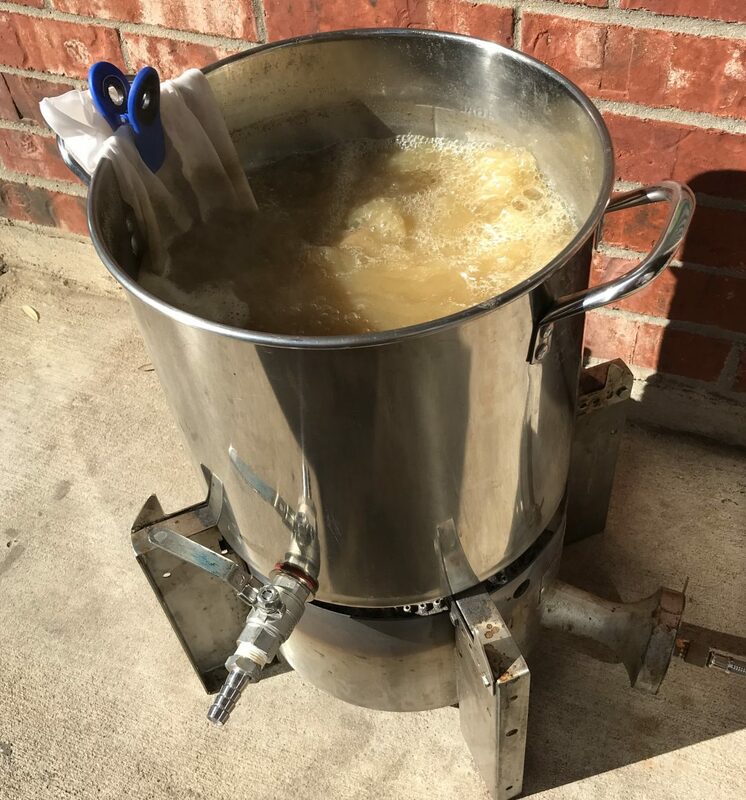 Originally, I bought it to check on my mash temperatures and to keep an eye on my wort as it came to a boil when I was brewing beer. It does all that well, but also gets used as a timer when cooking and to monitor temperatures of food being cooked in the oven or on the BGE. The ability to set low and high temp alarms is very helpful as you don’t have to open the oven or Egg to check and let out heat. The Chef Alarm will let you know when its ready. I’ve been looking at Smoke ever since it was first announced, before they ever released it. Monitor meat temp? Check! Monitor Egg temp? Check!! 300 ft range? Awesome!! Way better than my old Maverick ET-73, which crapped out on me anyway and would no longer send a signal to the monitor, and which never did reach the 100 ft it claimed. You might have noticed, in the first picture the “Open Box Item” sticker. If you keep an eye on their website, or are on their mailing list, you’ll see that frequently they have sales and special offers. While the Smoke is regularly $99, I was able to pick up this open box item last week for only $76!! I wasn’t overly concerned that it was an open box item, but when I did receive it, I took the time to look it overly carefully. The box appeared to me to have never been open. After opening it, I looked over the base unit and the receiver, and it looked in pristine condition. No scratches anywhere or signs of use. As far as I can tell, it is brand new and I saved $23. Score!! Buy once, cry once. Don’t buy those cheap units that you might find at Home Depot or Target or Bed Bath and Beyond. Buy quality and you won’t regret it. The only thing I do regret is that last night I saw an advertisement on FaceBook from Thermopen that it is now offered in 9 different colors. When I purchased this unit, grey was the only color it came in. Oh well, I think the grey looks pretty slick. Disclaimer: This unit and the other thermometers from Thermoworks were not given to me by Thermoworks. They were purchased with my hard money or in the case of the Thermapen a Christmas present from my parents. I have no affiliation with Thermoworks, nor was I asked to give a review. They definitely make good products. I’ve had my thermopen for around 6 years and use it all the time. I agree with your thoughts about the Thermapen and the Smoke. Of all the items I’ve ever purchased — including new grills, smokers, what have you — the one item that has made the biggest difference in my grilling/smoking has been the Thermapen. This is particularly true for items like burgers and chicken that need to be cooked thoroughly, because the margin between moist and dry is so thin. And the Smoke is awesome for overnight cooks — no more having to go out and check the temp every hour.